Creating an effective running program is part science and part art – depending on your comfort level and preferences. For most of us we have just “laced up our new running shoes and hit the road”! It takes more than a new pair of Nike’s to become a runner – it takes thought, planning, some research, preparation, and creativity. In my previous article, Introduction to Running, I mentioned joining a running club to get exposure to others with the same interest in running and getting other people’s insight into running for sport or fun. This is a part of “running by design” – where we learn new skills and develop partners in training that we can turn to when we hit a “rough patch” and need help. This article will share some ideas about training and designing a program that fits your needs in preparation for becoming a successful – and happy runner. Proper preparation and planning will go a long way to helping you succeed as a walker, hiker, or runner – all three if you choose! The treadmill is a logical place for many of us to start because it can be programmed by the user – and there are no cars or weather to confront during the run. 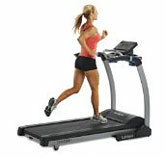 The treadmill has multiple programs from the manual setting to hill strides and other interesting options for the user. The idea is to walk before you run so learning to walk for exercise is a great way to learn about your body and how your breathing and stride are connected. Learning about balance, stride length and speed, breathing and arm swing all will contribute to preparing you for running. Buying your own treadmill is an option but only if you are serious about the investment, will investigate your options thoroughly, and WILL use the equipment. Rowing machines have the advantage of training both your cardiovascular system and neuromuscular systems in tandem. The development of cardiovascular capacity is part of the training necessary to become an effective runner and rowing is a great training tool for overall conditioning – and weight loss. Cycling has the advantage of being a primary “cross training” tool for runners. It works the quadriceps primarily (and heart of course) and is a counterbalance to the use of the hamstring while running. The process of cycling strengthens the legs, provides additional practice for monitoring breathing and allows for a fun alternative to the pounding of the running motion. Cycling can be both an indoor activity and outdoor activity and has many aspects that build overall strength – critical for all runners. Yoga provides “mindfulness training” that connects the mind with the body during and after exercise. The many poses in yoga create a mind-body relationship and awareness that allows us to connect movement with our bodies in a positive and meaningful way. I will report further on this form of training as I move forward with my own program of yoga training and discipline this year. I want to develop an awareness that contributes to my whole program of fitness – not just strength training and running. 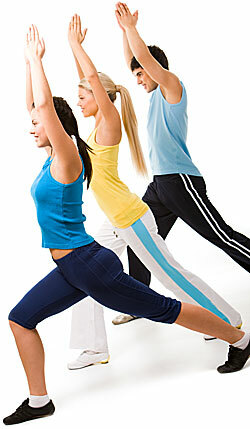 Group exercise classes have the advantage of guided movement based exercise in a variety of formats and styles. 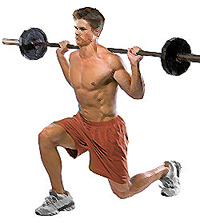 They are also worth exploring for total body development in order to increase balance and body awareness. This is the most common form of preparation training for most of us as we begin to explore running as a new form of exercise and training. I believe this approach allows us the opportunity to create a running program based on a solid foundation for both our minds and bodies as they learn how to respond to the demands of a new activity. Walking for exercise gets us into a “rhythm”, allowing us to learn about our stride, foot strike, arm swing and movement, breathing and presence of mind, and ability to focus. The skills that we gain from exercise walking do translate relatively easily into jogging which is simply a faster form of exercise “striding or walking”. Taking the time in the first few weeks of your running program to learn this part of the training is well worth the effort and can be accomplished on a variety of surfaces. Hiking is an advanced form of exercise walking and occurs on trails and hills allowing us to gain perspective and confidence in our developing ability as true exercise enthusiasts. The hiker is a person who believes in the body’s ability to adapt to a variety of terrains and implies a “walker with purpose”. Hikers are purposeful and can found in almost any worldwide venue. It is an art unto itself and hikers can evolve into mountain climbers if the interest is strong enough. I have always wanted to hike in remote areas such as the ruins of the Incan civilizations in Peru or the Aztecs in the Americas. Because I have been a runner all of my life these things are still possible for me. The benefits of proper training and preparation are endless! I am a big proponent of resistance training because the technology is incredible. From free weights to machines of all types a total body workout is now possible. Being strong is a prerequisite for becoming a good – or even great –runner. Working your shoulders, chest, back, arms, legs, abdominal muscles, torso, and grip prepares your body to handle the stresses of running or any related activity. Planning your strength building effort and being committed to its purpose is a great way to allow your body to handle the training and workouts to come. Doing 1-3 sets of 10 basic exercises 3 times a week for three months is a major plus in creating an effective running program. You will see results within a month of starting a strength training program and that is not an unreasonable expectation. In this article I have attempted to present you with a variety of ideas that will prepare your body for the wonderful benefits of running. I never knew any of this information when I started running back in 1964 – I just started running to relieve stress and get outside. Back then we didn’t have the knowledge we have now and we also didn’t the technology with which to develop incredible training programs that we do now. Take advantage of the internet, your local gym, running clubs, friends, Runners World (online if you wish), organizations such as the American Council on Exercise (my certification body) at ACEFIT.com for ideas, and many other resources available in today’s world. It will be worth the effort and pay off in the long run without a doubt.